Penetrators make there there debut in this years Menehunes Invitational basketball tournament. They come in with veteran guards who played in various tournaments over the years. The have there inside defensive presence Shane Seymour, a fellow optometrist himself. There floor general is Delwin Por, who is the captain of this team. They participate in various Asian American tournaments such as Hoops Unlimited, Asian Basketball Association, Open GYM, NSU San Diego Tourney, Tomo No Kai Tourney, VFW and leagues as well. Look out for them to push the tempo and get everyone involved. Lets welcome Penetrators in this years Menehunes Invitational! *Played in VFW tournament, so OK and approved for Menehunes Invitational. % Approved to play on ICEMEN by Menehunes Committee. # Approved to play on ICEMEN by Menehunes Committee. 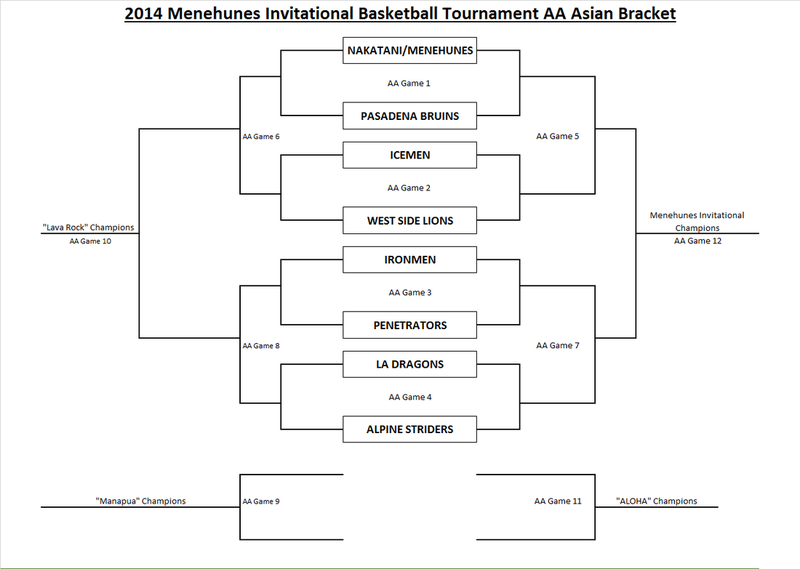 West Side Lions makes there Menehunes Invitational debut in this years highly competitive AA division. They bring in many years of experience competing tough AA tournaments such as LVI and the AA NAU basketball league. They are definitely a high octane team with guys Robert Reynolds who can put up points in a hurry from behind the arc. Derek Wong is probably one of the most versatile players in today's Asian Basketball world, with his excellent ball handling, deadly 3 point shot, as well as taking it to the basket inside. They also have quick guards and strong inside presences. It will definitely be a high scoring game that will be very exciting to watch. Welcome West Side Lions to the Menehunes Invitational! Pasadena Bruins make the debut in this years Menehunes Invitational Tournament. This team is the true definition of them. Most of them been playing together since 7 years of age, while adding different pieces to the team over the years. The Bruins had there share of winning tournaments throughout high school from Tigers tournaments to tournaments in the Bay Area. They made it to the NAU A+ Finals their first year playing together as a team in the men's division and been bumped up to play in AA ever since. They have a solid back court with crafty guards like Darin Nakauchi and George Toyama who can do it all out there. They also have outside shooters who can really space the floor well. 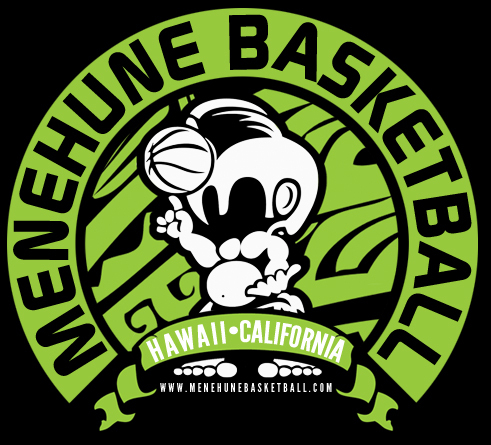 Menehune Basketball welcomes the Pasadena Bruins to this years tournament! 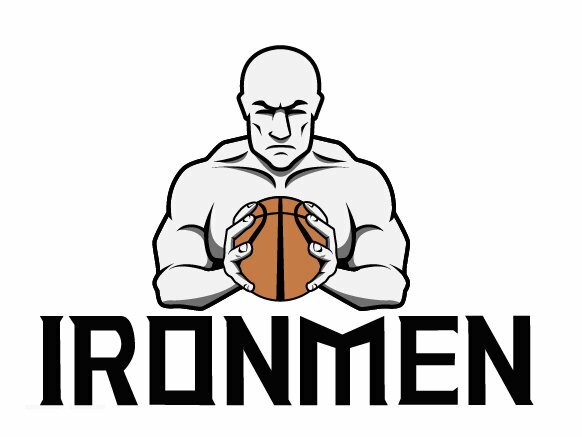 Ironmen return as the defending Menehunes AA Invitational Tournament Champions, and is coming back even more loaded then they were a year ago. They recently won the tough AA Tigers Tournament defeating teams (Hawaii's Chosen Few, Sacramento Barons, and Icemen). They heart of the team is there leader, Garrett James, who was last years Tournament MVP. He is joined by his fellow brothers, sharp shooters, defensive presences, and big men that you hardly ever see in Asian American Basketball. This team is legit and is probably the BEST Asian American team in the country today! Coach Jesse James does a great job keeping this group together as they were once kids that played basketball, now they are IRONMEN out there. They have many years of quality experience with, NCAA Div 1, NCAA Div 3, JC, and NAIA basketball experience players on the team. Look out for them to make a run at the championship again! *Approved to play on Penetrators by Menehunes Committee. #Approved to play on Penetrators by Menehunes Committee. Due to the circumstances of getting the 8th team. 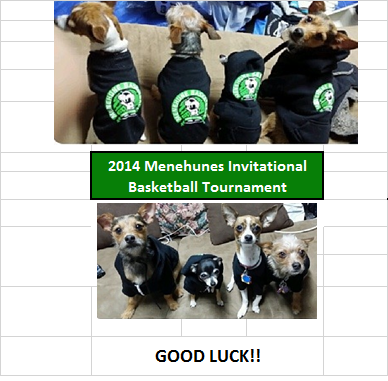 Icemen is making there 3rd Appearance in the Menehunes Invitational tournament. Lets see if they can make the next step and win it this year. They suffered tough losses in the championship game two years in a row. Icemen has a different line up than the previous years but there main player is Chapman University Basketball team starter/combo-guard Taylor Hamasaki. His maturity has grown over the past years in this tournament. Icemen also has Chapman alumni Brandon Lin who also was a standout in his days back in college. Joining the team is Nick Demusis from Whittier College, who was there teams leading scorer last season. They will rely on Michael Kushner for his inside presence and versatility out there. The teams energizer and defensive specialist Jordan Hamasaki will have a huge impact on this teams success. Icemen also has veteran coaches, a tag team dual, Vince and Susan Hamasaki. LA Dragon's Den has majority of the LA Korean team. They came in 4th place in last years Menehunes Invitational tournament. Tony Jew was asked by the LA organization to coach and manage the LA Korean team during the Korean Nationals. There are three talented junior players that are 17 years old with great potential and still learning the game. Two are Fairfax high brightest players in Isaac Shin and Peirson Ro who will eventually become a premier center one day. Three veterans from the former Sections/Bluecanvas/Wooree Litech Team Andrew Kim, Sam Kim and Will Han that will provide leadership. The main veteran and team captain, Paul Chin at age 39 is still a fast and threat on the floor is playing with his counter partner Cecil Gooch, another veteran small forward. Some free agent veteran pick ups are Mike Lai and Paul Park. Coach Tony Jew has been coaching for over 25 years, since his playing days at UCLA. Coach Tony Jew states "This is my second to last tournament in which I am retiring after the Annual LVI tournament." Lets hope he makes his come back to coach another Menehunes Invitational. The Alpine Striders recently won the North American Chinese Basketball Association tournament in May which makes the the best Chinese Asian American basketball team. They also won the AA Sacramento Barons tournament. They are led by guard Jonathan Chu is there scoring guard. They have many role players that can space the floor. James Chen is deadly from behind the arc. Alpine has always been a hard nose type of team that plays physical, scrappy, and aggressive. Coach Tony Wong does a great job leading the way and makes his team play in a system, which definitely always gives them a fighting chance to win. Look out for there uptempo defense as well. The Nakatani's/Menehunes came in 3rd place in last years tournament. They had there share of tournament victories. They compete in the NAU league and the LVI tournament mainly.Will the Nakatani's have enough energy to last 2 brutal games in a day? This year's team has a mixture of veterans and younger players. Lets see if they can stick to the system and control the game like the San Antonio Spurs did in the NBA Finals. AA Division (ASIAN Decent). Menehunes committee has the right to not let a player play in the wrong division. (AA Division) Any protest of Asian Players, Needs to be brought up to the Menehune Committee for proof of Asian Descent prior to tipoff. Bring birth certificates if you have a Mix-Asian that doesn’t look Asian and please scan and email it to Email@MenehuneBasketball.com prior to the tournament. Or get approval by Menehunes Committee before playing. NOT APPROVED PRIOR, NOT ALLOWED TO PLAY. NO SURPRISES PLEASE! NFHS Rules, CIF Officials will enforce them. All Captains must sign the teams waiver. AA Division: 4-10minute Semistop quarters(stop on free-throws), last 15 seconds stop time for the first 3 quarters, and last 2 minutes of the game for the 4th quarter will be full-stop time. (Clock does not stop on made baskets) 35 second shot-clock will be enforced. For every overtime will be additional 2 minutes, stop on free throws only and every whistle in the last minute. (does not stop on made baskets). NO SUDDEN DEATH. Double Technical foul or ejection of the game, player will not be able to play the remainder of the game and will be asked to leave the gym. Player can play the next game but if he gets another technical foul then he will be disqualified for the rest of the tournament. Any protest has to be done prior to the game to the Menehune Basketball Committee. Once the game starts then the game will take place. Grace period of 10 minutes for each team, and after that the opposing team will get a point for each minute that the opposing team will be waiting for. (Let’s not have a problem with this) For any reason you are running late please contact the tournament Manager. All protest must be made prior to the beginning of the game, once the ball is tossed the game must go on as is. Anyone under 18 years of age will need their parent to sign the waver form before they can play.